The hip is referred to as a “ball-and-socket” joint and is also one of the body’s largest. The socket is comprised of the acetabulum, which is actually just a part of the pelvis bone. The ball of the ball-and-socket is the femoral head, which is also the upper part of the femur (thighbone). Because this ball-and-socket is really all bones, it only makes sense that they are covered with articular cartilage; a smooth and slippery substance that both protects and cushions the bones and also allows them to move freely and easily. Without articular cartilage, every movement of the hip would bring with it painful, bone on bone grinding. On the joint’s surface, there is a thin covering called the synovium. Under normal circumstances, the synovium excretes a small amount of fluid that lubricates cartilage and allows for free movement to take place. Osteoarthritis is referred to as “wear and tear” arthritis and is a condition found most frequently with people who are of middle age or older. Annually, tens of millions of people in the United States alone are determined to be afflicted by osteoarthritis. Unfortunately, it can occur in any bodily joint. The most common symptom of osteoarthritis is pain and stiffness in the affected area. This pain and stiffness can result in situations where even the most basic, mundane daily tasks are difficult to accomplish. Tying a pair of shoes, rising from a seated position, or even taking a walk can all become overly difficult and strenuous. Osteoarthritis is a condition that worsens as time goes on, so it is recommended that treatment be started as soon as possible. Starting treatment early means that you can actively work to reduce its impact on your life. There is no cure for osteoarthritis, but there are many treatment options that can assist in both managing the pain and allowing you to stay active. Osteoarthritis is a degenerative type of arthritis that most frequently affects those who are of 50 years of age or older, but can impact people of all ages. 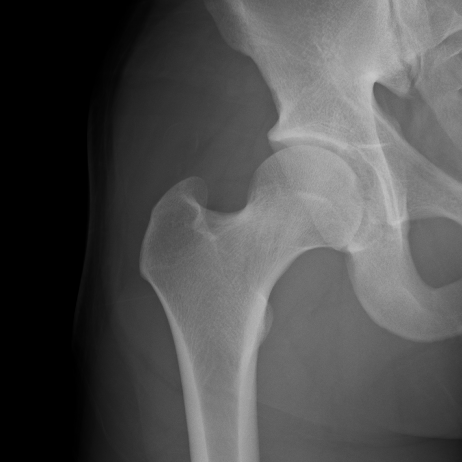 In terms of osteoarthritis of the hip, the hip joint is actually gradually wearing away over time. With this wearing, cartilage becomes disfigured, rough, and the protective gap between bones decreases. Ultimately, this can result in painful bone on bone rubbing. In an attempt to make up for the cartilage that was lost over time, damaged bones can grow outward and form bone spurs (osteophytes). Osteoarthritis does not happen overnight, but rather develops slowly over time and worsens increasingly. Even if none of the abovementioned factors apply to you, you may still be at risk of developing osteoarthritis of the hip. Treatment options for osteoarthritis include a number of conservative options such as physical therapy, activity modification, injections, weight loss and NSAID therapy. 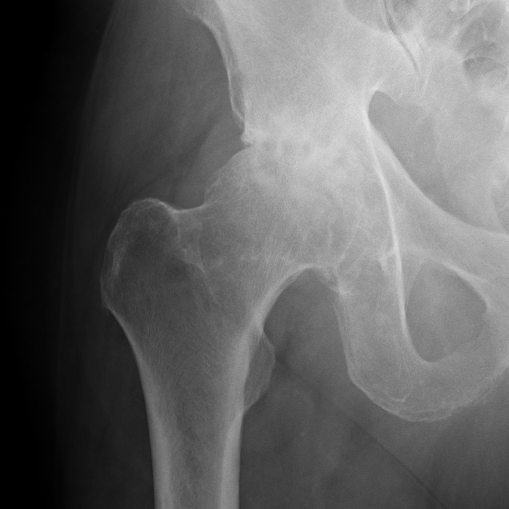 When conservative treatments fail, your doctor might recommend having a total hip arthroplasty (total hip replacement). Hip replacement surgery is becoming more and more common and the outcomes are more predictable than ever. During the procedure, the damaged bone and cartilage is removed and replaced with prostethic parts. Click below to learn more.